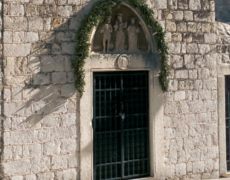 adjacent to St Saviours Church and between the Placa and Fort Minčeta. 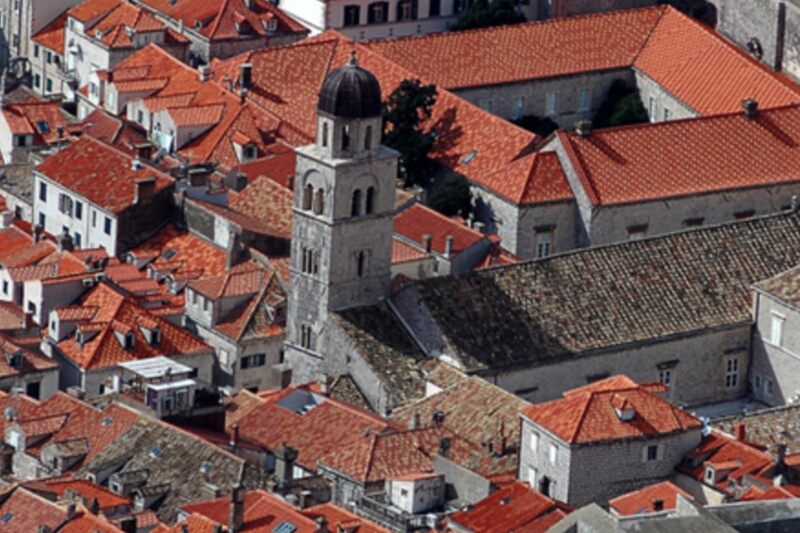 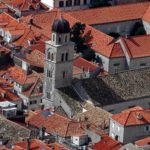 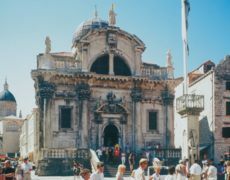 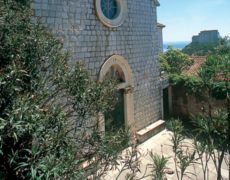 The wars threatening the Dubrovnik Republic in the early 14th century made the Franciscans to move from the Pile area outside the city walls into the City. 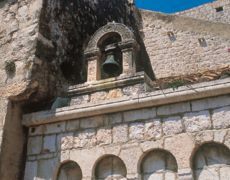 The construction of the Monastery began in 1317 and lasted for many years. 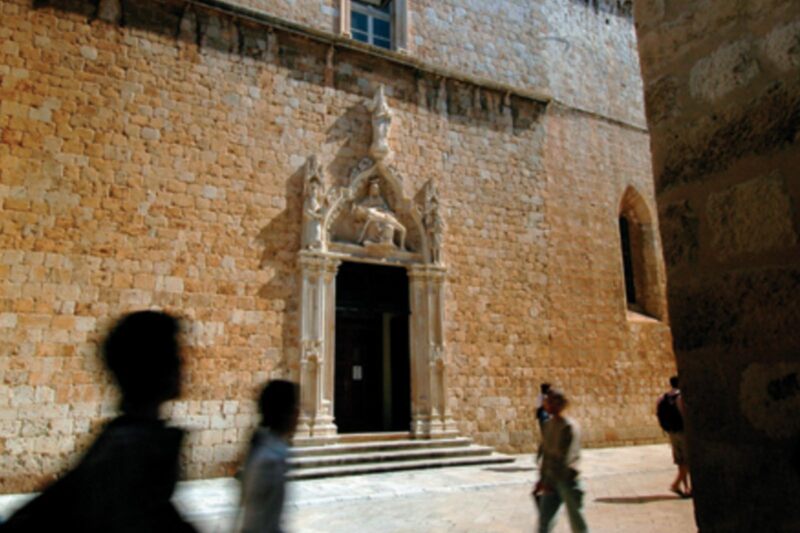 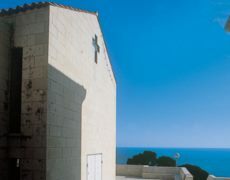 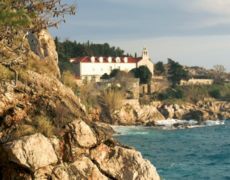 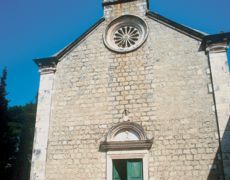  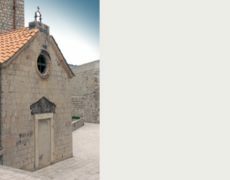 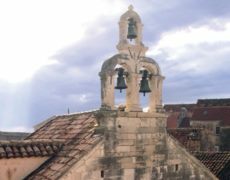 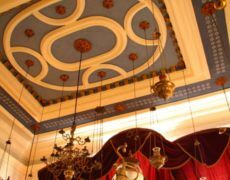 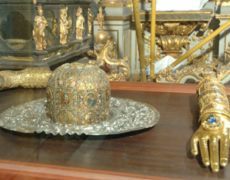 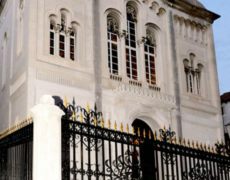 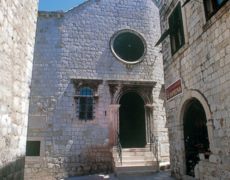 It is nowadays considered a true jewel of Croatias cultural and artistic heritage. Certain sections of the large Franciscan Monastery were destroyed in the course of time, especially in 1667 when a devastating earthquake befell the City. 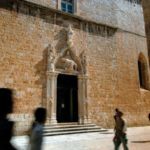 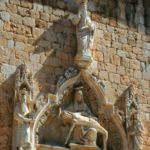 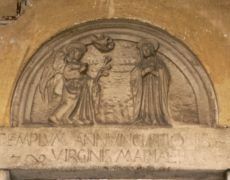 One can get the idea about the elegance and beauty of the original church only on the basis of the south portal with the Gothic architrave comprising an astonishingly beautiful and moving Pieta. 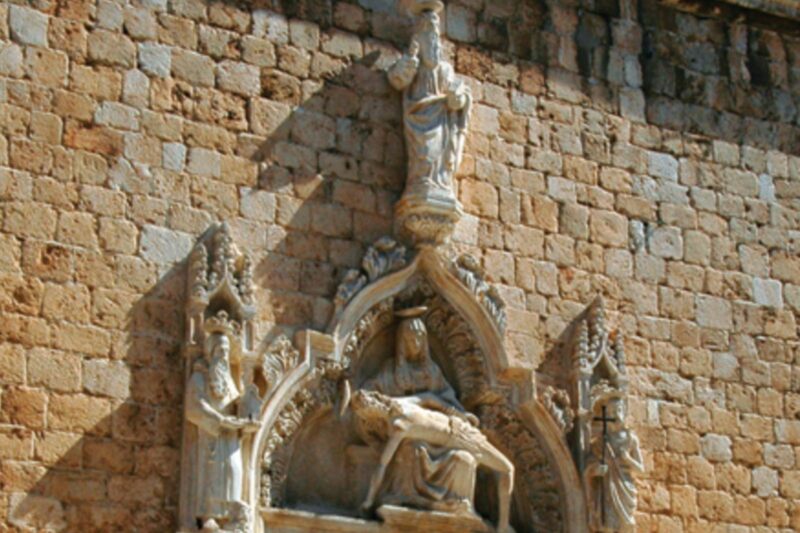 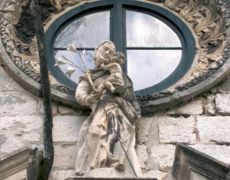 The statue of Mother of God holding her dead son on her knees from 1498 is a masterpiece of the Dubrovnik sculptors, the brothers Leonard and Petar Petrović. 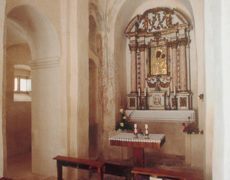 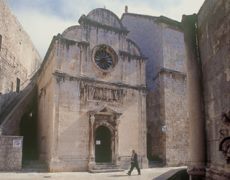 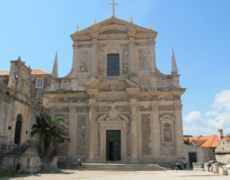 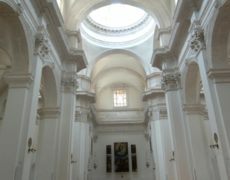 The present day Franciscan Church was restored in the Baroque style. 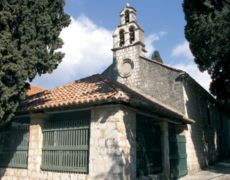 It houses the tomb of the great writer Ivan Gundulić. 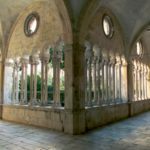 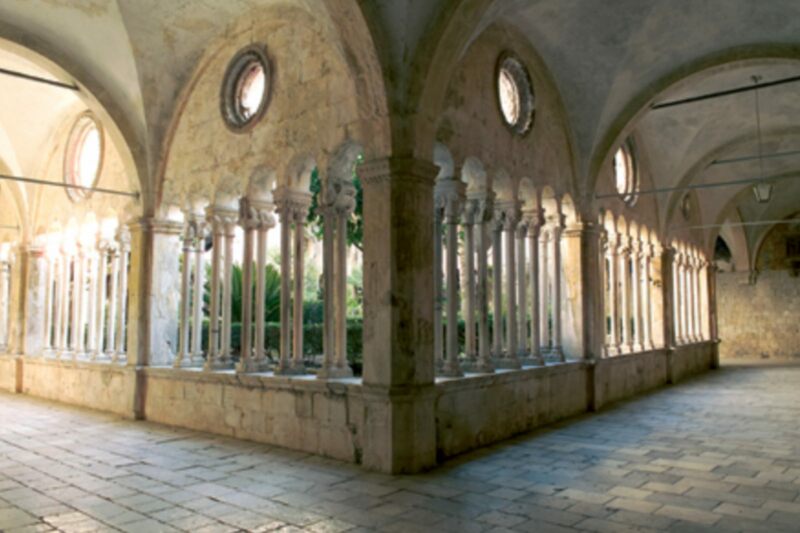 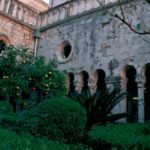 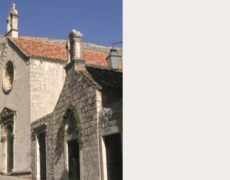 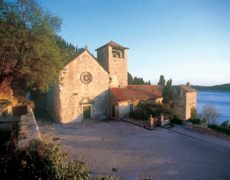 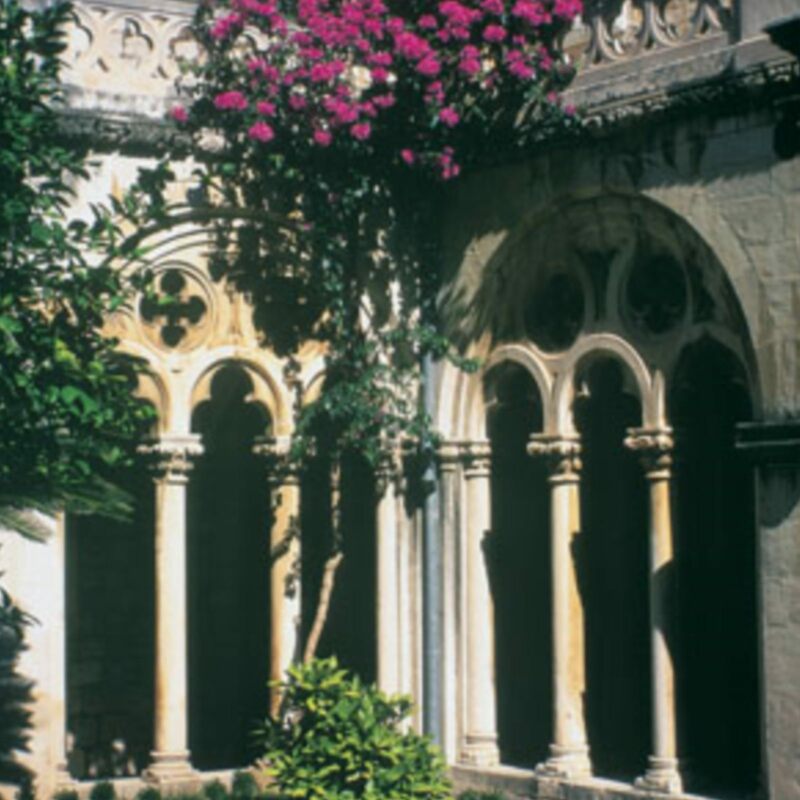 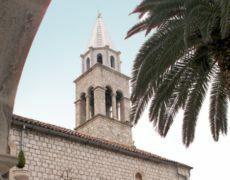 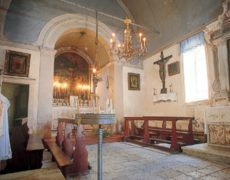 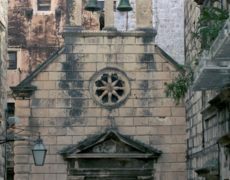 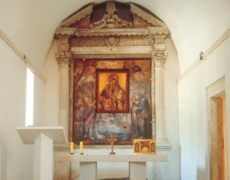 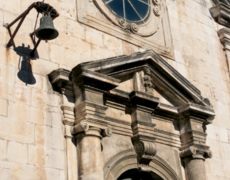 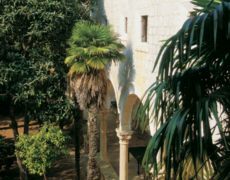 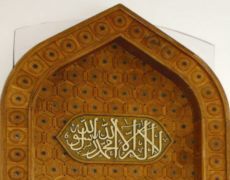 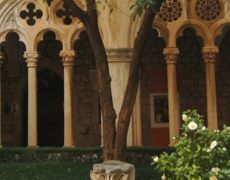 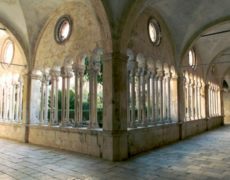 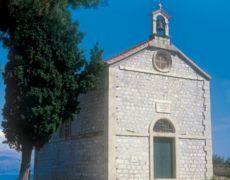 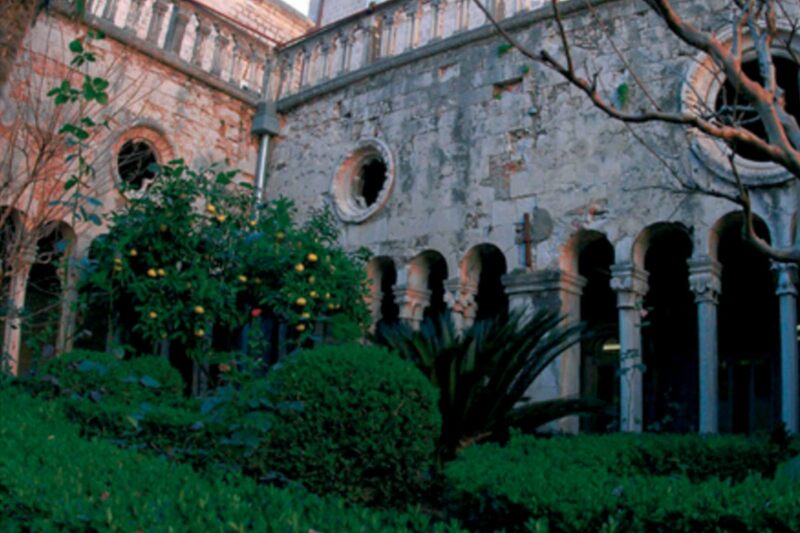 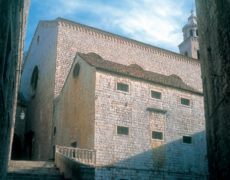 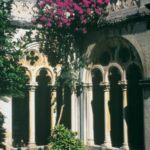 The Monastery cloister, the work of Mihoje Brajkov of Bar in the Late Romantic style, is considered one of the finest in Dalmatia at the time.